In part I of this two part series, I introduced a couple of ideas I have about defining perseverance in problem solving and some instructional shifts that need to happen in order to achieve those goals. In this post, I take a much more direct approach in trying to lay out what that might look like in a classroom. Polya’s work in the 40’s is the basis of this model and it has been in books for years and as a plan for problem-solving it isn’t horrible. The problem is that it is taken out of context, and we do a generally poor job in the classroom of developing the skills necessary for this approach to be successful. In order for students to even be able to start with number 1, they need to be able to understand the relationships in problems. We most often espouse text analysis approaches to understanding, which are fairly complex and don’t bring any kind of fundamental beginnings to students. There is another model that has students look for relationships in problems and use that as a way of analyzing the text. Most problems in mathematics relate to basic relationships; part-part-whole, comparison problems (i.e. runner 1 is slower than runner 2…), and as problems get more complex two points of data, and relational change (rational). True problems are more complex than these simple relationships but recognizing these relationships is an excellent place to start. Now allow students to share their potential solutions with the whole group, but don’t settle for just one answer (THIS IS KEY). If we want students to learn to persevere, WE must develop the understanding in our classrooms that there is always more than one way to do something. That simple kind of approach isn’t earth shattering, it isn’t new, and it isn’t very innovative, but it is intentional! It has a purpose and can be easily replicated in classrooms across the country IF teachers are willing to ask different questions. Getting students to be able to recognize relationships also, necessitates students having access to organizing things and recognizing things can be organized in different ways. I’ve long used vocabulary word walls with students (post from another blog I write) and having student organize words based on the word wall is a great way of having students; revisit vocabulary with an intended purpose, have students learn to organize vocabulary by trait or characteristic, and understand that there are different ways of organizing items. I share this because this process can be done for lots of different products and for lots of different purposes, but all help develop a students ability to persevere, understand there is more than one way to do something, and learn to question the thinking of others, and their own thinking. 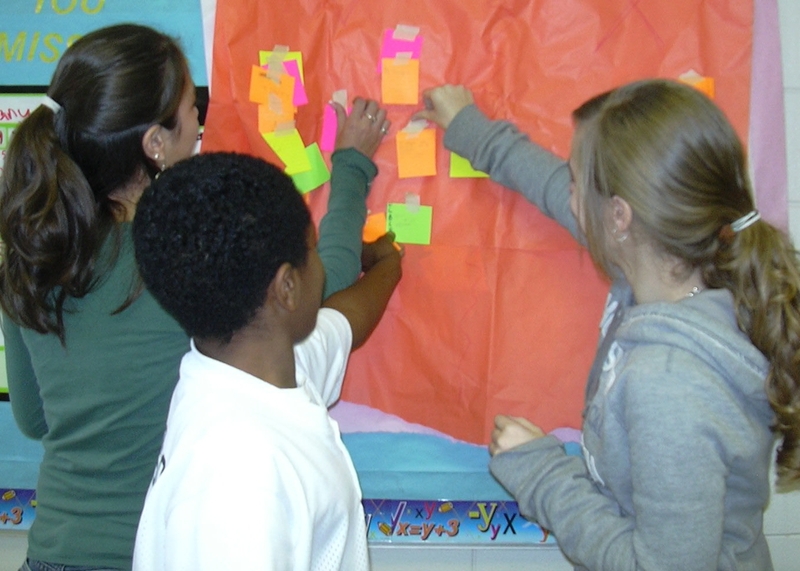 Watch the 7th grade video to get a feel for how Jacob Disston leads his students through an organizing activity and has students share their thinking and question the thinking of others (yes, makes a connection to yet another SMP). If you are looking for some resources that show how to do the things I’ve discussed, the best I’ve found are at Inside Mathematics page on Perseverance in Problem Solving page. I would share their videos, but they are embedded and not on YouTube. The video feeds are not very consistent, but the content is GREAT. 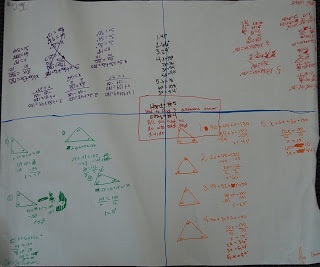 This entry was posted in Blog and tagged Common Core, mathematics, problem solving. Bookmark the permalink.